The fact that the box office chatter about Suicide Squad has droned on longer than Miles Ahead’s U.K theatrical run, says two things to me. One: Cinematic conversation must improve. Two: Thank goodness physical media is still (just barely) being purchased by folk. Don Cheadle’s directional debut is the kind of off the cuff, adult feature that gets lost in the quagmire of near endless nattering of the Hollywood hype machine. Yes, Captain Boomerang and co have fans, but let’s hear it for counter-programming eh? I might be embellishing somewhat, but when a movie such as this, tries its hand at something a little unconventional with someone so influential, one does feel that there should be a tad more talk about the little film that can, while Hollywood slowly extends its blockbusters to exist outside the summer months. 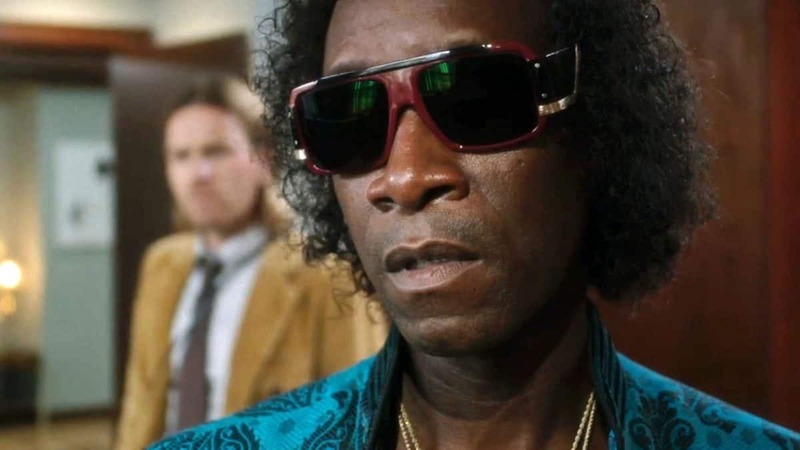 Miles Ahead is less a chronological cradle to the grave biopic about Jazz musician Miles Davis, and more of a fictional heist movie laced by Davis’ spirit and work. It follows Tate Taylor’s James Brown feature, Get On Up (2014) by eschewing the flat linear narrative and molding the fact with the fiction in the free flowing anarchic style of the artists both films follow. This is a film which is less about the “gospel” of Miles Davis the man, but a “truthful” interpretation of Miles’ character. Starting off in with Davis in a state of drug-addled inactivity in the seventies before darting back and forth through various highlights of his life, including his estranged marriage to Frances Taylor (Emayatzy Corinealdi). Despite its unconventional approach, Don Cheadle’s film still suffers from the type of typical bio tropes you’d expect to witness in a feature such as this. Davis experiences jail time and racism as seemingly expected from all famous black American musical artists. He’s also (as expected) an abusive creative, simultaneously tortured and inspired by his muse. In this case, it’s dancer Frances Taylor, who’s affectionately played by Corinealdi. Cheadle does little in the way of commentary here. This is possibly because of the been-there-done-that aspect of the material, but it might also be that this version of Davis is only interested in these events of fragments of the whole. The film never really settles on either point. That said, it does become a vigorous expression of the man and his music. Cheadle delivers a lively film, rich in colour and energy and filled with solid performances. 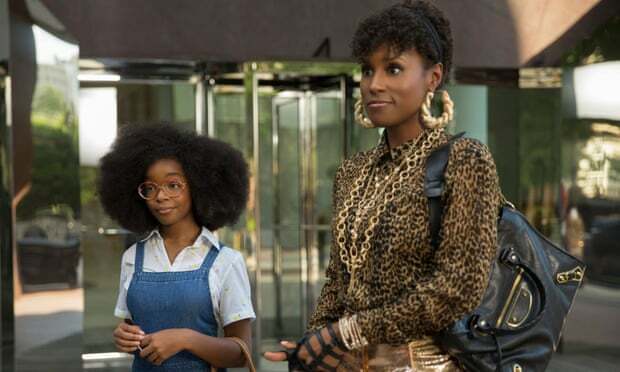 Along with the aforementioned Corinealdi, Cheadle’s own performance as the raspy-voiced Davis leads the pack, filling each scene with a bountiful amount of swagger. The film also finds room for conniving Ewan McGregor as a fictional journalist looking for a hot story on Davis, who ends up on a crazy After Hours-style caper. The film itself sets up Davis as a broken talent whose cannot be amended by the shysters, hangers-on and chancers who surround him. This, in turn, makes Davis as combative as the boxers that he loves to watch fight. There’s little surprise that the film climaxes in a frantic and schizophrenic showdown at a boxing match. Not only a running motif for Davis but an embittered metaphor for talented artists perhaps. This is an assertive piece of Cheadle confidently showing that he’s can command from behind the camera as well as in front of it. Miles Ahead looks great throughout zips along at a good pace, with its fictional elements working well. Often punctuated with enjoyable and comical scenes (a student thrifting Davis for drugs, for instance), the film never feels bogged down or bloated with its own importance Also, as it’s jazz music, Cheadle neatly sidesteps the type of obvious musical cues which can derail a piece such as this. We’re spared from on the nose lyrics. This could have easily come across as a vain, passion project and much like his Ocean’s 11 cohort George Clooney’s debut (2002’s Confessions of a Dangerous Mind) there’s a clear willingness to show off technique. But there is a sense that Cheadle’s snappy cuts and rich, bold colors are not only showcasing his ability to work on a tight budget ($350,000) but also profiling a man who is still at his peak and can still produce effective work that doesn’t have to be a comic book feature. This isn’t the definitive version of Miles Davis. It could never be that, yet we often expect cinematic biopics to encompass the whole of the artist. Cheadle is far more interested in finding an entertaining vessel to open Davis’ talent to a new generation. Smart move I feel.